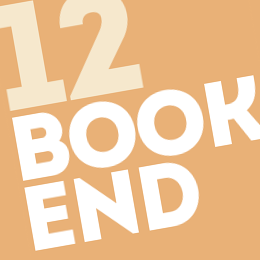 12 Book End, a fantastic bookish website, has an interview with Susan Crandall from way before anyone knew her… All the way back to June of 2013. It’s a great read, so if you want to know a little more about Whistling Past the Graveyard and her author, click on over to 12 Book End! “FIRSTLY, I’D LOVE TO KNOW IF YOU’RE AWARE OF OR HAVE EVER PARTICIPATED IN NATIONAL NOVEL WRITING MONTH (NANOWRIMO.ORG)? IF THIS IS YOUR FIRST EXPOSURE TO IT, WHAT ARE YOUR IMPRESSIONS? [Susan Crandall] I’m very aware of NaNoWriMo.org. I think it’s a great idea and have several writer friends who participate almost every year. I however am the least disciplined writer on the planet. The mood has to be right for me to be productive at all. And no matter how hard I try, I simply cannot move on to a new chapter until I have my current chapter fine-tuned and polished. So NaNoWriMo is so far out of my comfort zone that I don’t even attempt it. What’s Next for Susan Crandall?